8.5" SCHOOL BUS - Sailing (U.S.) International Corp.
9948D - 8.5" School Bus.. die cast collectible model car. 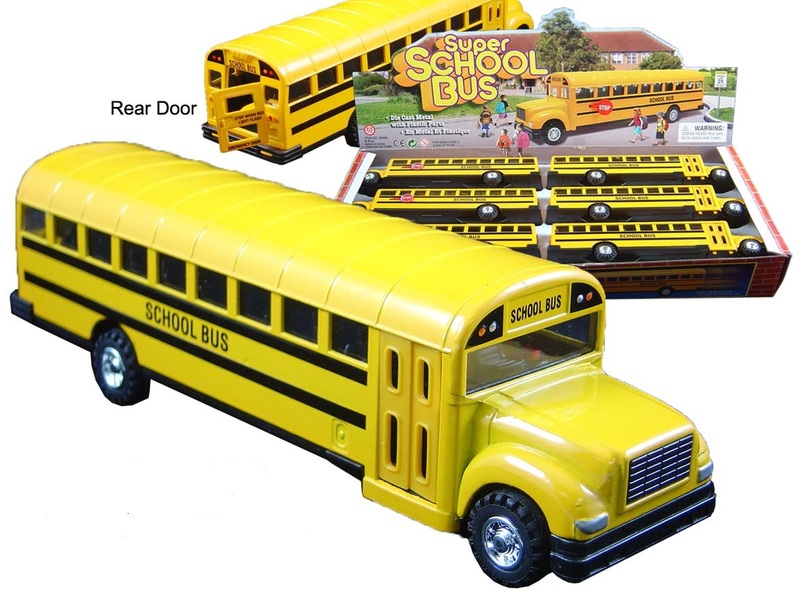 This yellow school bus with stop sign is a 8.5" long die cast metal car with pullback motor action, opening doors. 6 pcs per display box and in yellow color. 36 pcs per inner box.